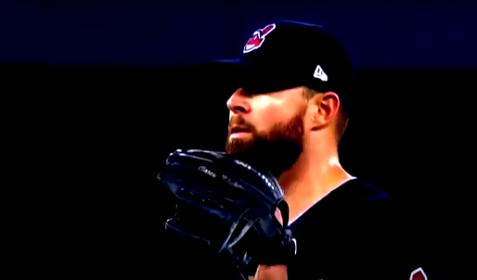 If you listen to national sports commentators other than real baseball people, they seemed shocked at how good Corey Kluber pitched last night. Some marveled at how his pitches moved and some even suggested he may not be able to replicate that performance. Indians fans and real baseball analysts know otherwise. Of course there’s no guarantee that Kluber will be just as dominant again, particularly if he ends up pitching in Game 4 on short rest, but another lights out performance would not be surprising at all. Corey Kliber is one of the best pitchers in all of baseball, and now casual baseball fans are starting to learn what we’ve known for several years. Kluber is a beast with nasty stuff that baffles both righties and lefties, and the Indians intend to ride his talent throughout this series. 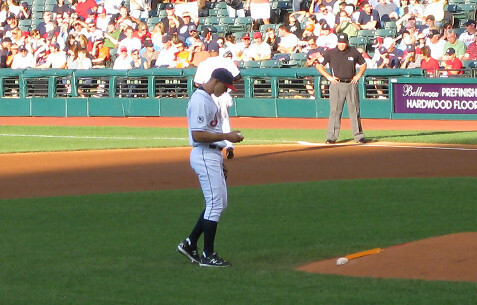 Francisco Lindor also introduced himself to the Cubs and a national audience with a single and critical stolen base with two outs in the first inning. That led to Jon Lester imploding by giving up two walks and then two runs. That’s all Kulber would need. Meanwhile, Andrew Miller looked mortal last night, but he came up with huge pitches when he needed them. Game 1 was critical for the Tribe, and now they have a chance tonight to take command of this series. Let’s see if Trevor Bauer rises to the occasion. Cory Kluber takes the mound tonight as the Cleveland Indians open the World Series against the Chicago Cubs. 2016 has been a bizarre years in so many ways, including a crazy election that’s driving most people to drink, but this year will always be cherished by Cleveland sports fans as the Cavs broke a 52-year championship drought for the city. Now, with the Cavs ready to open their new season tonight by raising their championship banner, we have the Indians trying to complete their improbable run to a Word Series title. Can you imagine two championship parades in one year? This Indians-Cubs series could be epic, with both clubs trying to end long championship droughts. In any other year, the Indians would probably have the whole country behind them, but with the Cavs ending the city’s title drought and then drawing the Cubs as their opponent, the Indians find themselves as the underdog in the eyes of baseball experts and fans across the country. But this Indians team doesn’t care about those things. They rolled through the Boston Red Sox and Toronto Blue Jays despite losing two of their best starting pitchers and another starter to a freak drone accident, and now they’ll at least have Danny Salazar back to possibly start a game or provide help from the pen. Still, the team isn’t at full strength, so tonight’s opening game with Cory Kluber on the mound will likely be critical. If Kluber can win his starts, the Indians have a great shot at shocking the world and extending the misery of Cubs fans. If Kluber loses, then the Indians will have to rely on Trevor Bauer and Josh Tomlin to rise to the occasion again and get to Andrew Miller and the rest of the bullpen. This Cubs team is excellent, but the Indians can definitely win this series. Go Tribe!! The Indians haven’t lost yet in the postseason after taking a 2-0 game lead on the Blue Jays and sweeping the Boston Red Sox. Needless to say this has been an incredible ride. Few of us could have predicted what we’re seeing after Carlos Carrasco was lost for the season with Danny Salazar already injured. Of course we all know how that led to Paul Hoynes writing off the Indians, only to get ripped not once but twice by Trevor Bauer on Twitter, with Hoynes finally admitting he was wrong after the Tribe swept the Red Sox. The Indians are doing this with great pitching despite those injuries, with Cory Kluber living up to his role as staff ace and Andrew Miller redefining dominance out of the bullpen. They’re also getting timely hits from Francisco Lindor even as the offense has been held mostly in check by Toronto’s pitching staff. This series is far from over, but this 2-0 start has been fun to watch.